Another day done at the newspaper. Fourth of July weekend about to begin. No rush though. A bit of desk straightening, then on with the jacket -- chilly for summer. Flick off the light, shut the door to my office. G'night Nicki, g'night Barbara, have a safe and sane holiday. Linger for some friendly chat. "Are you going to shoot off fireworks?" Barbara asks. A pause. A wistful smile. I open my mouth to explain. But it is a long story. Too long for conversation. "No," I say. "No, we won't." This is an excerpt from a book I wrote -- "The Quest for Pie" -- about the trip taken with my boys out West in 2009. It hasn't been published, yet, so you're the first to read this. These passages fluttered in the back of mind with every other firecracker pop over the Fourth of July holiday, and explain why, no, we didn't set off any fireworks ourselves. This was the last time. There isn’t a lot between Salt Lake City and Reno, Nevada, a 500 mile shot straight west, flanked by military testing ranges and desert. My first thought was to drive it in one very long day. But Edie was worried that to do so would be “too much” — we had been on the road almost two weeks. She sniffed around online, dug up a way station — a Super 8 Motel in a place called Battle Mountain, 300 miles from the Peery Hotel in Salt Lake City -- and phoned us with the details. We did not know when we pulled into town that in 2001 the great Gene Weingarten at the Washington Post had set out to find the most bleak and godforsaken town in America, the one, true, official “Armpit of America” and, after an exhaustive search evaluating hundreds of nominees, had settled on Battle Mountain, which turns out is not associated with historic battles of any kind. We did not know the town's major cultural institution was a low-rent brothel. The boys were bouncing up and down — could we go to the fireworks store, huh, dad, could we? I might be tarring myself as a sheltered fussbudget, but I had never been inside a fireworks store. Edie had a childhood friend who lost an eye to fireworks. 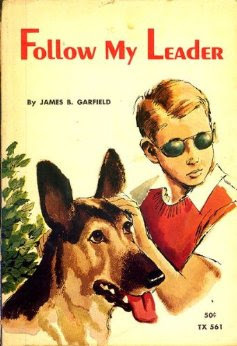 And I remembered a Scholastic Book Club book about fireworks I had read as a kid — Follow My Leader, its cover showing a blond boy in dark sunglasses with a German shepherd seeing eye dog. But we were here. And we had to do something. If ever there were a place where fireworks might be less of a bad idea, it was here, in the enormous expanse of nothing that is Nevada. The only public place to eat in Battle Mountain, Nevada is a curious joint called the Owl Club, whose sign is a riot of red neon, an ornately cursive “Owl” with “FAMILY DINING” in big block letters and a beaming cartoon owl in a chef’s hat hoisting a plate of dishes. It was dim inside, and we sat around the table, assessing the trip. Two weeks on the road. A long, suddenly wearying, time. The first leg of the trip coming to an end. Mom would be meeting us the next day in Reno. Had the boys accomplished all they hoped. Did you eat enough pie? Are you happy with how things were going? For the most part, yes, they said, though they wouldn’t mind visiting that fireworks store. The implicit bargain was: take us there and we'll be satisfied. That seemed like a deal. After dinner, we visited Roller Coaster Fireworks. The boys’ attention was drawn to the giant mortars and cannons and rockets, heavy professional quality ordinance two feet high that cost $50 apiece and looked like they could down a jet airplane. That wasn’t going to happen. Not on my watch. After a bit of negotiations, we ended up with a bag full of Black Cats, smoke bombs, sparklers, a device that looked like a tank and something called a “Barrel of Fun.” Puny stuff, but I just couldn’t see taking the risk of the larger fireworks. I tossed the white plastic bag filled with fireworks into the back of the van and headed to the Super 8. The drive from Battle Mountain to Reno is only 200 miles, and by midmorning we were approaching the outskirts of town. As the minutes passed, we ticked off the miles before Reno, and urgency to pull over somewhere grew — it wouldn’t be prudent to set off the fireworks in the city itself. Once Edie showed up it would be too late, she’d lay down the law: no fireworks. Ross began to pester me — don’t forget the fireworks. Let’s get set off those fireworks. The time was now. Just before Lovelock, Nevada, seemed promising -- it made Battle Mountain seem like Manhattan. I eased off the highway, following a one- lane road that passed over the hump of a single railroad track and turned into light gravel over hard packed beige dirt. The road cut through scrubland — a crinkly light gray clumped kind of plant, and cacti. We stopped at a galvanized metal gate, padlocked, that cut off the road — somebody’s property, no doubt. This seemed the perfect place. I pulled the van over to the side of the road — there wasn’t really a shoulder, with a hill sloping sharply up. But it wasn’t as if there’d be a bunch of traffic either. I fished the white plastic bag containing the boys’ cache of fireworks out of the back of the van. “Let’s start with the tank,” I said. Ross and Kent stood a few feet off. I lit the fuse and set the little cardboard tank down in the middle of the road. It crawled forward maybe half a foot, spitting sparks out of its cannon barrel, then stopped, sagged and caught fire, burning harmlessly in the middle of the road. Then the Black Cats, small firecrackers, as thick as a pencil and ¼ as long, a dozen on a fuse. Did the boys want to light them? No. They were happy watching. The Black Cats pop-pop-popped satisfactorily, the clump flinging itself this way and that as it blew apart, until the last cracker burst and the remains sat motionless, a slight tang of gunpowder in the air. Then the Barrel of Fun — the size of a ping-pong ball, with its ends flattened, like a barrel. I set it carefully in the middle of the road, held my lighter to the fuse and then ran over to the boys, standing by the van, maybe 10 feet away, to see what would happen. A cascade of sparks, yellow and red, leaped five feet into the air, hissing and spitting, a festive Roman candle effect. The vibration of the stream of sparks must have unsettled the little device, however, and it tipped over on its side, so that the sparks shot, not into the air, but across the road, just touching the scrub at the side, setting it on fire. For one second, I looked at the scrub beginning to catch with bovine incomprehension. By the time I reacted and ran over to it, the fire was a yard square and spreading fast. I tried stamping on it but it raced away from me, up the hillside. I bolted back to the van and tore open the back door. The fire extinguisher, remember, was still in the laundry room back in Northbrook. I grabbed the big red cooler, in both hands, thinking I could use the melted ice inside, but by the time I returned with the sloshing plastic box to the blaze, it was five feet across and a yard high — I could feel the intense heat on my forearms. “Get in the car!” I screamed at the boys. Panicked, I threw the cooler into the back, hopped in the drivers seat. “Get in the car, get in the car!” Kent urged to Ross who stood there for a moment, mesmerized by the flames, then the two clambered into their seats and I pulled the van back a safe distance, the sliding doors still closing, the warning bells pinging. We all stared at it. The fire wasn’t going out — it was spreading, 10 feet across, marching up the hillside. Black smoke pulsed off it, deforming the air. It was an obscene, incomprehensible sight. The choice was obvious — stay, being unable to stop the fire, and accept the consequences, or flee. I fled. But we didn’t get far. I was going to leave you hanging, but I figure, people will want to know. I got back on the highway, but immediately realized that we couldn't do this, couldn't continue on the vacation leaving whatever disaster we had sparked behind us. I got off at the next exit and doubled back on the highway, heading the way we had come. Driving east, I kept seeing a low cloud of black smoke sitting on the horizon, and imagined the lives that would be lost battling the nightmare wildfire we had created, and the jail time awaiting me. But when we returned to the spot, it was just a scorched patch. The smoke filling the sky had been a guilt-induced illusion. The fire had gone out on the bare scrub. I uttered a silent prayer to the indifferent cosmos, and we continued on our way. We never did shoot off the rest of our fireworks. The white bag with the sparklers and smoke bombs sat in the back of the van for the next three weeks. At the end of the trip, I threw them away. Yes, people WILL want to know! I really enjoyed your tale. Oh, and "Follow My Leader" was one of my favorite books as a kid. It's nice to know someone else remembers it. I don't think too many people would notice if Nevada burned. It wouldn't change the landscape all that much.